These days, it seems like there’s always some new kitchen gadget on the market, hoping to be added to a home cook’s cupboards. And at Christmas time, it can be hard to decide whether the “foodie dice” or “cosmos kitchen knives” will make for a more heartfelt gesture under the tree. As we start to get into a more festive season, it’s time to decide what message you want to send this holiday to your favorite home cook. The famous Julia Child always said that “no matter what happens in the kitchen, never apologize.” And in any kitchen, chefs will spend hours searching for the perfect flavor combinations to complete a dish. Whether it’s a five-star restaurant or a home in a rural town, the kitchen is a place for experimentation and risk-taking. And during the holidays, experienced chefs and beginning cooks alike will appreciate a heartfelt and unique cooking gift to complete their growing kitchen collection. No matter if you’re buying for a Michelin-starred chef, or a budding cook, you can’t go wrong with one of these gifts for cooking lovers. With any of these tools, a cook can find a new recipe, try a new type of cuisine, or learn about the history behind some of their favorite dishes. Here are 8 of our favorite gifts for the cooking enthusiast in your life. From mountain streams in the west to rolling prairies in the east, Montana’s habitats and natural resources offer an abundance of culinary possibilities. In The Big Sky Bounty Cookbook, Montana-born chef Barrie Boulds offers unique recipes from the Treasure State, including rattlesnake cakes, morel mushrooms, and an elk tenderloin with huckleberry demi-glace. Chef Boulds creative and simple recipes are accompanied by inserts from author Jean Petersen, who gives the history behind some of Montana’s most well-known ingredients. 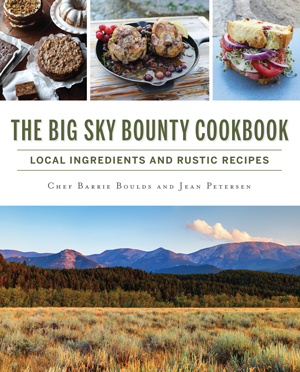 One of the best new cookbooks of 2018, The Big Sky Bounty offers distinctive recipes that will add a Western touch to a cook’s repertoire. Cooking is a very personal activity for many, and this engravable cutting board will add another personal touch to any kitchen. Select from a variety of different woods ranging from cherry to walnut and include an engraving with your loved one’s name on this high-quality cutting board. You can even include a heartfelt gift message with your order! A southern garden produces delights in all four seasons, from asparagus to tomatoes, and apples to collard greens. 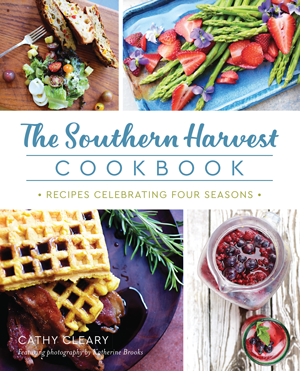 Chef Cathy Cleary highlights the versatility of homegrown foods in The Southern Harvest Cookbook, which includes tradition Southern dishes like shrimp and grits or collard greens, and new recipes like pesto tomato pie. Chef Cleary also includes her own thoughts on the value of flexible foods like squash or apples, and tips for growing and preserving your own garden ingredients. This cookbook of great Southern recipes also includes interviews with local chefs, who offer their own advice for a prospective Southern cook. Despite being one of the world’s most popular foods, sushi rolls can be notoriously difficult to assemble. Keeping the proper tension while rolling a sushi roll can be difficult, and even veteran sushi makers sometimes struggle to be sure ingredients won’t fall out of their rolls. That’s where the sushi bazooka kitchen gadget comes in. Simply place your ingredients in the bazooka’s canister, and press down on the bazooka to create a perfect sushi roll every time! For the young aspiring chef, a sushi bazooka will make creating even the most difficult of dishes a breeze. Every food truck in Columbus has a story. 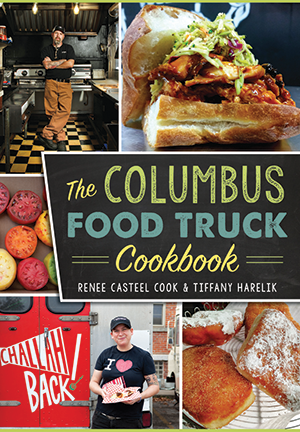 In The Columbus Food Truck Cookbook, food authors Renee Casteel Cook and Tiffany Harelik explore the history of more than 30 local Ohio food trucks, and offer some of their best recipes, like Churro French Toast, and authentic Jewish Corned Beef. Cook and Harelik also feature interviews with food truck restauranteurs, who describe their experiences getting their food truck off the ground. This cookbook is great for any would-be food trucker, Ohio cook, or even the most avid of food truck fans! Any chef worth their salt knows their most important tool is their knife set. A good set of knives will hold up well under pressure by not losing their sharp edge quickly, and offer years of durability. But just as important as the knives is a good knife holder, which will keep blades sharp and not damage the knife’s metal. The Kapoosh knife holder is ideal for maintaining any good cook’s knives, with a slotless design that conforms to a knife’s blade, eliminating any chances of scratching or chipping that expensive paring knife. Vermont is a food lover's paradise. From its verdant and fertile farmland, regional specialties are emerging state-wide. Food lover and cook Lisa Cassell-Arms explores the specialties of one of Vermont’s most-loved vineyards in Seasons in a Vermont Vineyard. 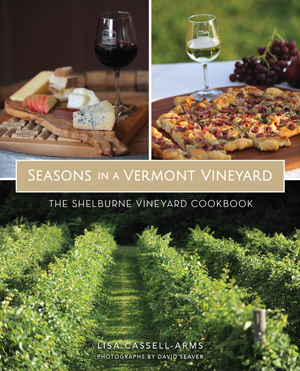 This cookbook is perfect for the classy chef, and explores the best ways to pair wine with foods, and features recipes from the Shelburne Vineyard’s tasting room. There are recipes for every season, ranging from Duck Confit Tacos in the summer to Bison and Mushroom Bolognese for cold winter months. For the wine enthusiast, Cassell-Arms also discusses the process of creating wine, with input and excerpts written by the Shelburne family. When cooking, it can be difficult to get everything done with only two hands. Having to a hold a cookbook to follow a new recipe can be a hassle amongst trying to chop, sauté, and prepare a good home-cooked meal. This bamboo cookbook stand will ensure that your home chef has both hands open and ready for their endeavors in the kitchen, and will keep their next recipe conveniently at their fingertips. These cooking gift ideas are sure to please any up-and-coming home cook or chef. Whether they want to learn family recipes or try their hand at a new cuisine, they’ll find what they’re searching for in these new cookbooks and gadgets. Make the most of this holiday season, and don’t forget your chef's knife!